The Daniel Fast is based on verses in the book of Daniel from the Old Testament of the Bible which tells the story of Daniel undertaking a fast while being held captive by the King of Babylon. The fast is designed to deprive yourself of specific foods for a set period of time to draw closer to God. A natural side effect of the fast is detoxing the body and weight loss. The Daniel Diet is meant to transform your spiritual, emotional, and physical health. During the fast, you must eliminate certain foods and beverages from your diet for a set number of days and spend time in prayer and meditation. There are two types of fasts, both based on verses from the book of Daniel in the Bible. This fast is based on Daniel 1:12 in the Bible. It requires you to eat only vegetables and drink no other beverages but water for ten days. During the fast, you must spend time daily meditating and reading the Bible and inspirational writings. What you read is up to you but there are many books available to assist you. This is the most popular form of the Daniel Fast because it allows more variety. This fast is based on Daniel 10:2-3 in the Bible. 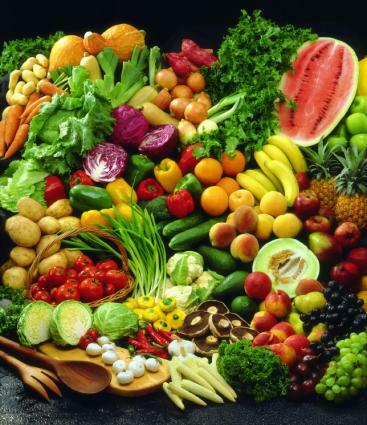 Foods allowed include fruits, vegetables, nuts, sprouts, whole grains, and seeds. Because the verse says that Daniel ate "no choice food," meats, rich or fried foods, sugar, alcohol, and processed foods are prohibited. As with the ten day fast, you are required to spend daily time meditating and reading the Bible. What you can and cannot eat on the Daniel Fast is pretty straightforward. For the ten day fast, you may only eat vegetables and drink water. Vegetables can be fresh, frozen, or canned. How you cook foods while on the fast matters. You may steam, bake, broil, or boil foods, but you may not cook them in or add butter, cheese or sauces. However, preparing foods using a plant-based oil is allowed. Ultimate Daniel Fast offers recipes appropriate for your fast. Sugar or sweeteners (including white sugar, honey, molasses, cane sugar, or syrups). Although some sweeteners come from plants, all are considered "choice foods," and therefore excluded from the fast. All beverages except water are also prohibited. Some people extend the fast to allow herbal teas or unsweetened almond or rice milk; however, a true Daniel fast allows only water based on the text of the Bible verse. Most results from The Daniel Fast are anecdotal but a few doctors have weighed in. Dr. Mehmet Oz believes in the benefits of eating fresh, whole foods. He partnered with Pastor Rick Warren, Dr. Mark Hymen, and Dr. Daniel Amen to develop The Daniel Plan, a healthy lifestyle program similar to The Daniel Fast. Their plan is also based on the book of Daniel in the Bible, but allows participants to eat lean proteins such as fish and chicken. One published study on the fast showed positive results. It concluded that a 21 day Daniel Fast is well tolerated, resulted in high participant compliance, helped educate participants about food choices and improved several risk factors for metabolic and cardiovascular disease including blood pressure, insulin, and total cholesterol. Before you start your fast, determine your goals and write them down where you can prominently see them each day. Develop a daily prayer and meditation schedule and identify your reading texts. Pay attention to label ingredients to make sure they do not contain prohibited items such as artificial ingredients or sweeteners. Eat lighter foods and gradually up your intake of fruits and vegetables several days prior to fasting to get your stomach used to ingesting less food and more fiber. Do the fast with a friend or as part of a church group for support. Be prepared to experience some detox symptoms due to the elimination of caffeine, sugar, and food additives/chemicals. These might include headaches and fatigue. If they are persistent, consult your doctor. Prepare to battle the temptation to eat prohibited foods. Figure out ways to distract yourself when the urge to stray from your fast hits, like taking a walk or calling a friend. Plan your meals in advance so you can focus more on the spiritual part of the fast and less on the food. People all over the world follow the Daniel Fast with great success. Undergoing a fasting type diet, whether for spiritual enlightenment, weight loss, or detoxification, can be an empowering, uplifting experience. It can also help launch you to a healthier way of eating. If you are pregnant, breast feeding or have health concerns such as diabetes, do not attempt a fast without first consulting your doctor.